America is an empire, which means the biblical forebear with which it should rightly be most closely associated is not Israel but Babylon. 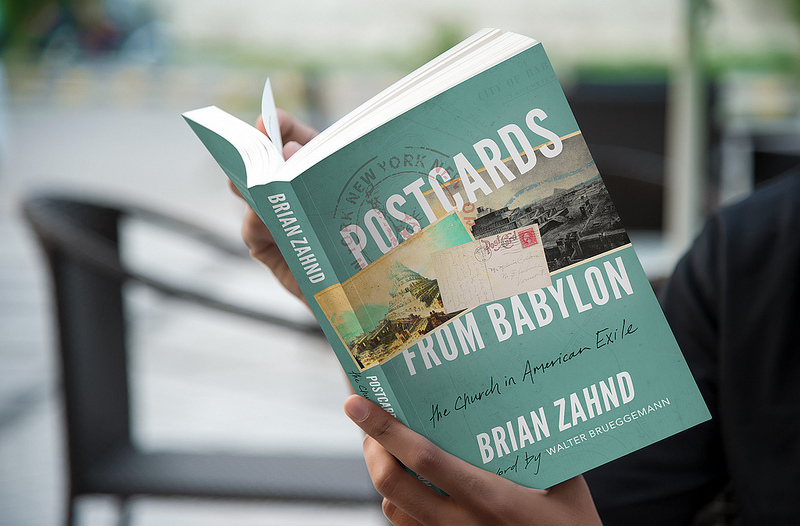 Such is the contention of Missouri-based pastor and author Brian Zahnd in his most recent book Postcards from Babylon: The Church in American Exile, released January 2019. The parallel between the modern day United States of America and biblical Babylon, that great whore and arch-enemy of Christ, is one that is rarely drawn. Understandably, the average freedom-loving American patriot might initially balk at it. But such is the force and clarity of Brian’s prophetic message and writing that the parallel, once seen, is hard to ignore and even harder to dispute. The more I learn of Zahnd’s work, the more I have deep respect and appreciation for his truth-telling. This book is a reprimand and an invitation to his fellow evangelicals about how the way has been lost and what it will mean to ‘come home,’ because it is a gift to come down where we ought to be! 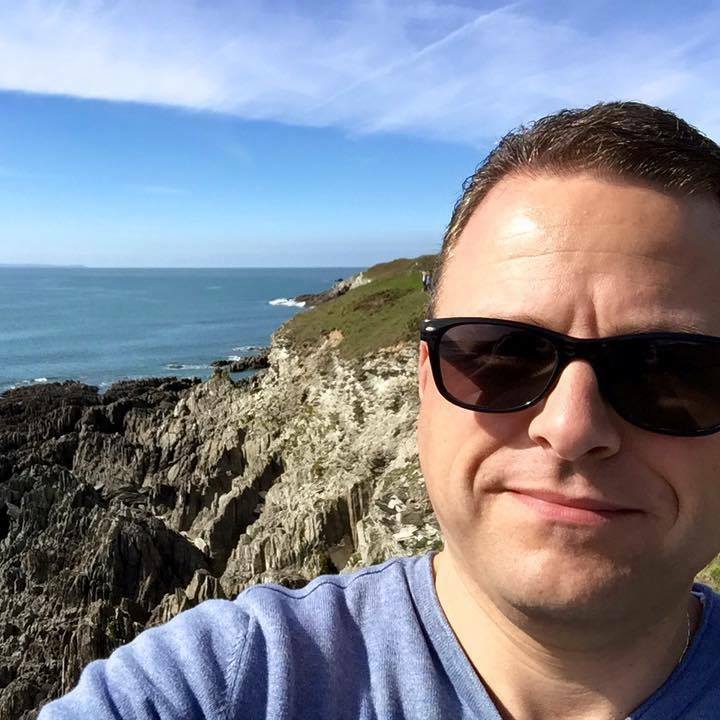 Beyond his immediate circle, however, Zahnd addresses all of us, because all of us in the Christian community in the U.S. are too readily narcotized by the mantras of Caesar, Constantine, and their continuing heirs. Postcards is, in short, a devastating critique of America’s militarism, materialism and religious nationalism. Having already walked a costly personal journey away from the fervid, triumphalistic excesses of American charismania and into a richer, deeper and more contemplative faith, Zahnd pulls no punches as he spells out the sins of America – and, in particular, of sections of the American church as they bend over backwards to curry favour with the rich, the powerful and the well-connected while neglecting the weightier matters of justice, mercy and faithfulness. However, lest anyone conclude that Postcards is nothing more than a sustained rant against sin and unfaithfulness, let me reassure you that the author clearly writes as one who loves the church deeply and longs to see it fulfil its calling, shining out like a city on a hill. Drawing on a unique blend of poetry, literature, biblical exposition and personal experience, Zahnd demonstrates that rare gift of being able to deliver criticism without condemnation, reprimand without rage. In this sense, Postcards is an invitation and an encouragement to faithfulness rather than merely a prophetic smackdown of a wayward church. Zahnd doesn’t angrily berate the church for its failings; he lovingly chides it and beckons it back to the Way, the Truth and the Life. Another striking characteristic of Postcards is that it is a profoundly biblical book. Zahnd draws deeply from Old Testament texts about living as exiles in Babylon, exploring and unpacking their relevance to the American church of today with astonishing clarity and resonance. He similarly draws strong and clear lessons for the church from the notoriously difficult book of Revelation. Postcards is no mere personal diatribe or hobby-horse; it is, like all prophetic works, marinated in and richly flavoured with scripture. Postcards is also an undeniably political book. I don’t, of course, mean Zahnd advocates for any particular party or policy line; rather, he calls those who profess to follow Jesus to let their politics be shaped first and foremost by the politics of Jesus, otherwise known as the kingdom of God. It is to this, rather than to any nation or flag, that our undiluted allegiance must be pledged. So that there might be no doubt, the book even includes a chapter titled “Trumped”, in which Zahnd spells out just how diametrically opposed the forty-fifth president is to all that Christ and his reign stand for. To be so outspoken about Trump might well draw fire from some quarters of US evangelicalism, but someone has to do it; and here again, Zahnd’s priority is to summon a church that has become enamoured with power and influence at any cost back to faithfulness rather than simply to berate a divisive and dangerous political leader. All in all, Postcards from Babylon is a bold and timely book delivering a call to faithfulness that is as concerned and compassionate as it is clear and uncompromising. Although, as its subtitle indicates, it is squarely and unashamedly aimed at American believers, readers from other countries will also find plenty to inspire and challenge. Let the one who has ears to hear, hear what the Spirit is saying to the churches!